Enjoy the sturdy canvas WRCJ GIG BAG. 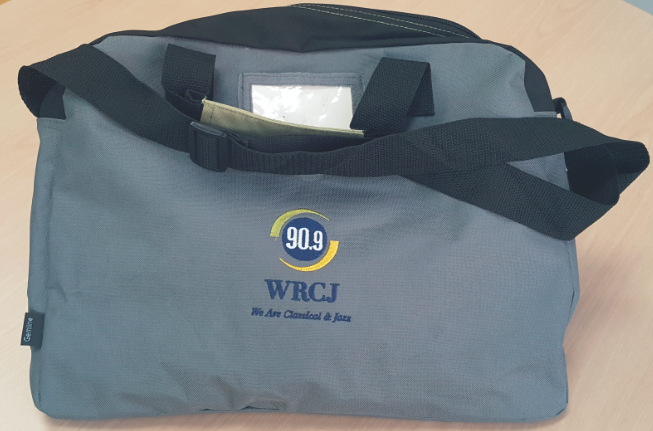 It’s our thank-you gift when you donate $60 now to WRCJ. That could be just $5 per month as a sustaining member. You’ll love this attache-type bag and you’ll display your love for great music as it carries the WRCJ logo. See more thank-you gifts here.